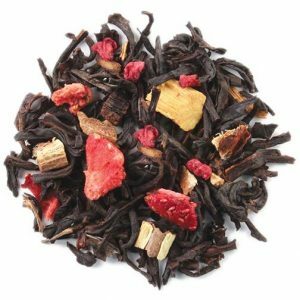 Cherry tea has a delightful aroma, a vivid red color and has a sweet fruity flavor. 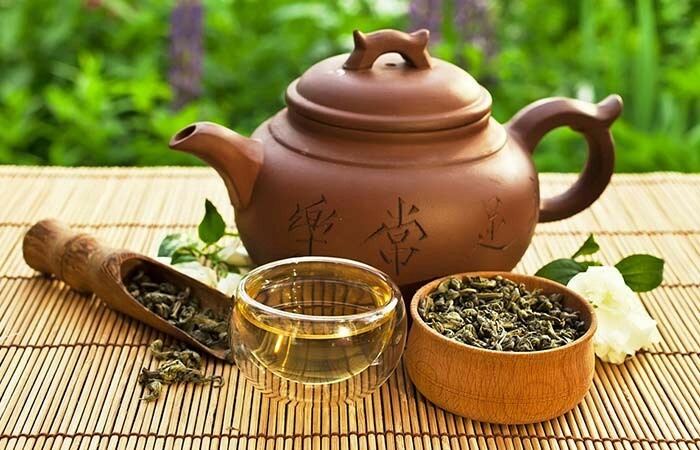 It can be made with the fruits both the sweet and the sour varieties, cherry flowers, stem, and wild cherry bark. It is not only a refreshing beverage but also has various health benefits. In 72 BC, Lucius Licinius Lucullus brought cultivated cherries from Anatolia to Rome. 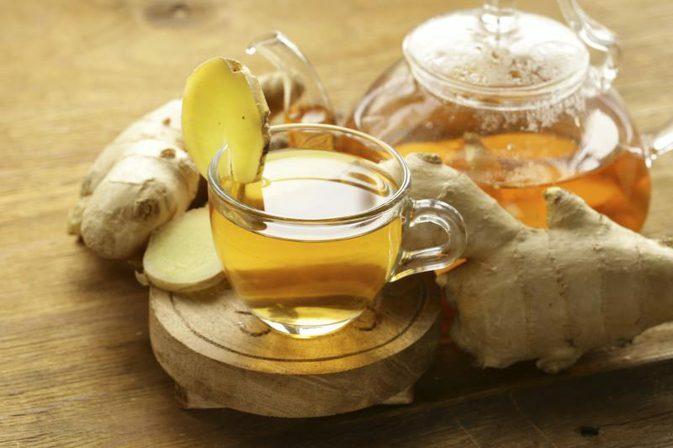 Later, even King Henry VIII fell in love with it for its delightful flavor and numerous health benefits. Cherry tea contains melatonin which is an effective antioxidant, helping in reducing stress and regularizing sleep patterns. Melatonin may also eliminate free radicals from the body. In a study conducted on a group of 15 adults, it was found that subjects who were given tart cherry juice underwent a significant decrease in the severity of chronic insomnia. 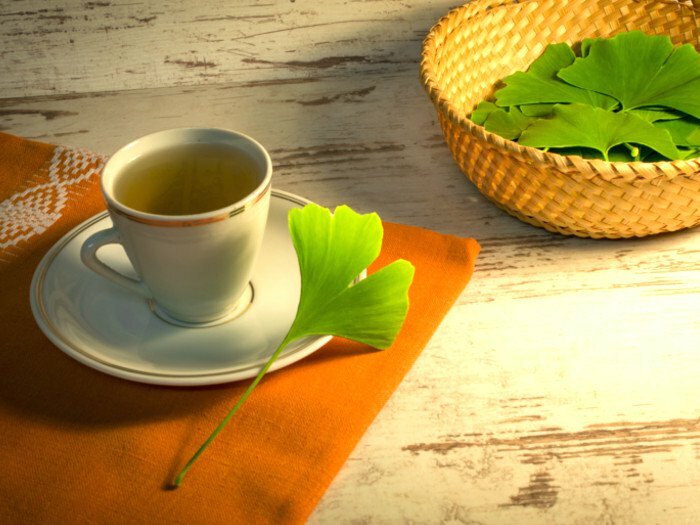 It has been found to reduce uric acid, nitric oxide, and C-reactive protein levels. 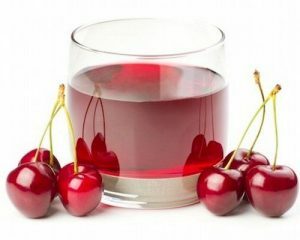 In a study, 10 healthy women were given cherry extracts, like cheery tea, after an overnight fast. They underwent a decrease in plasma urate supporting its anti-gout efficacy. In another study, patients experienced a 35% decline in gout attacks when given cheery extracts twice a day. 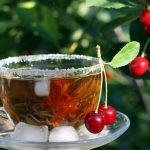 Vitamins, minerals, and antioxidants like flavonoids and carotenoids in cherry tea work as active cardio-protectors, protecting the heart from nearly all harmful oxidants. The anthocyanins present in it may reduce triglyceride and cholesterol levels as a revealed in a study done on 27 athletes. Anther study done on rats fed with tart cherry powder showed reduction in percentage fat mass. 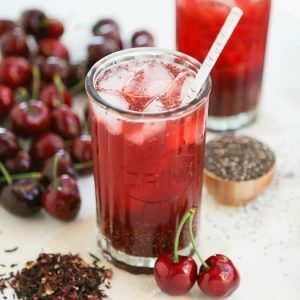 The antioxidants present in cherry are imbibed in the tea, stimulating the digestive juices, bile, and enzymes which help in the absorption of nutrients during digestion. The dietary fibers help in smooth bowel movement. 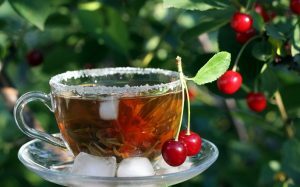 Cherry tea may possibly prove to be beneficial against cancer by neutralizing free radicals and inhibiting the growth of cancerous cells. In a study conducted on rats, cherry extracts reduced proliferation of adenocarcinoma and tumor development. More clinical evidence, however, is required to come to a final conclusion. Cherry tea may also act as an anti-ageing solution because of its ability to remove free radicals from the body. Wild cherry bark tea has been traditionally used as a cough suppressant and expectorant, helping in relieving respiratory problems. It contains cyanogenic glycosides like prunasin which may assist in quelling cough spasms. Pour water into a saucepan. Let it boil. Add cherries or 2-3 cherry blossoms in it. After a couple of minutes, put off the stove. Strain and pour in a cup. You can also add a dash of cherry juice to make it more intense. Add sugar if necessary. 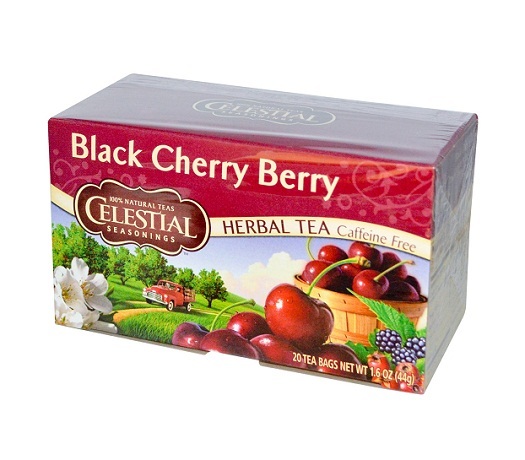 To prepare black cherry tea, use the black cherry fruit and follow the same process. 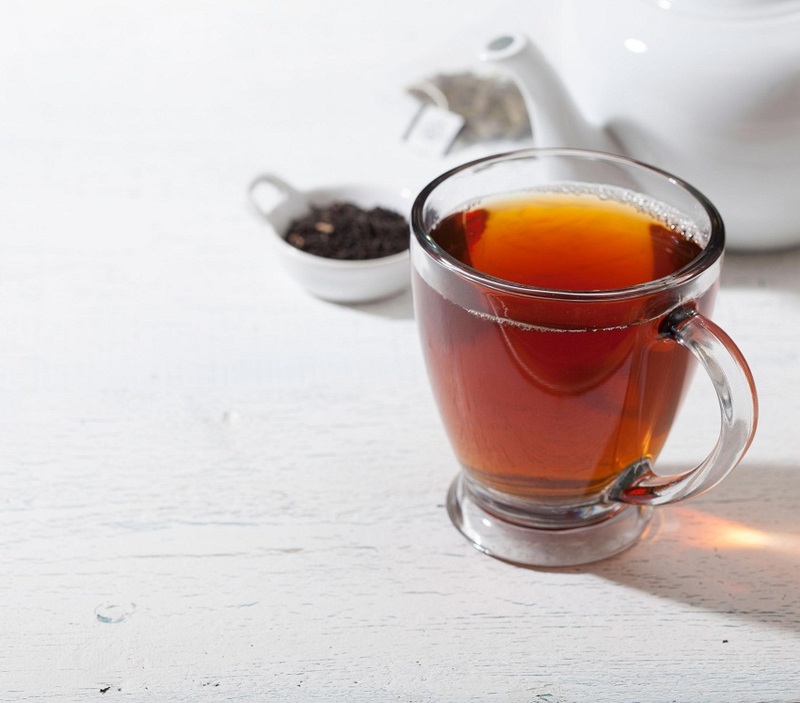 To use the stems for making tea you’ll have to dry them by spreading on a rack or newspaper for four days. Add the stems in a saucepan and pour half a liter of water into it. Let it boil for around five minutes. Take it off the stove. Allow it to sit for four hours or overnight. Strain and pour in a cup. You can add sugar if necessary. Cherry tea, when consumed in regulated amounts has no side effects. Overconsumption is possibly unsafe, though, there is no medical evidence. Cherry tea is safe for pregnant women and breastfeeding women when consumed in moderate amounts. You can get hold of cherry blossoms or raw, fresh cherries from any local store. Wild Cherry bark tea is also available in both ground and tea bag form in the market and in various online stores.